Love the ideas you see here on Ideas for the Home by Kenarry™? 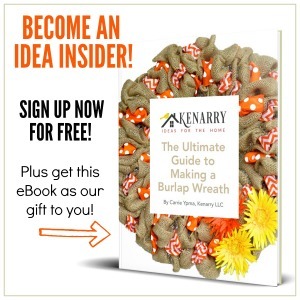 Subscribe today to become a Kenarry Idea Insider! You’ll get our weekly Ideas in Your Inbox newsletter plus other exclusive gifts, printables and offers — all for FREE! Almost there! Now just check your email to confirm your e-mail address. A subscription to our weekly Ideas In Your Inbox e-mail newsletter chock full of inspiring recipes, crafts, DIY projects, kids’ activities and more. Immediate access to the Ideas for the Home Resource Library stocked with free printables, eBooks, resources and other content that is only available to Idea Insiders. You’ll be among the first to know about any special deals and other offers on Ideas for the Home by Kenarry products — including exclusive discounts that are only for Idea Insiders, like 25% off all digital art and note cards in our Etsy shop.